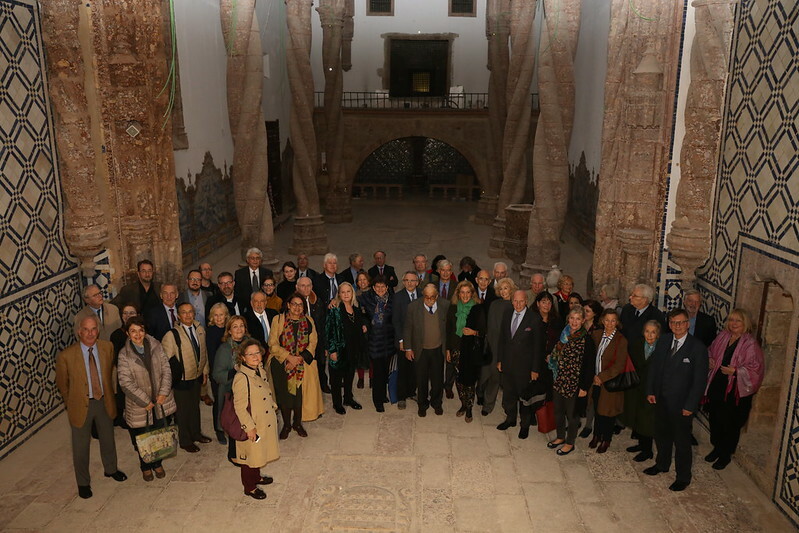 On the occasion of the Board and Council meetings of Europa Nostra held on 14-15 November in Lisbon, a delegation of some 60 participants had the opportunity to visit the Monastery of Jesus in Setúbal. This 15th-century heritage gem was listed among the 7 Most Endangered sites in Europe in 2013 by Europa Nostra and the European Investment Bank Institute following a nomination by the Portuguese Historic Houses Association. 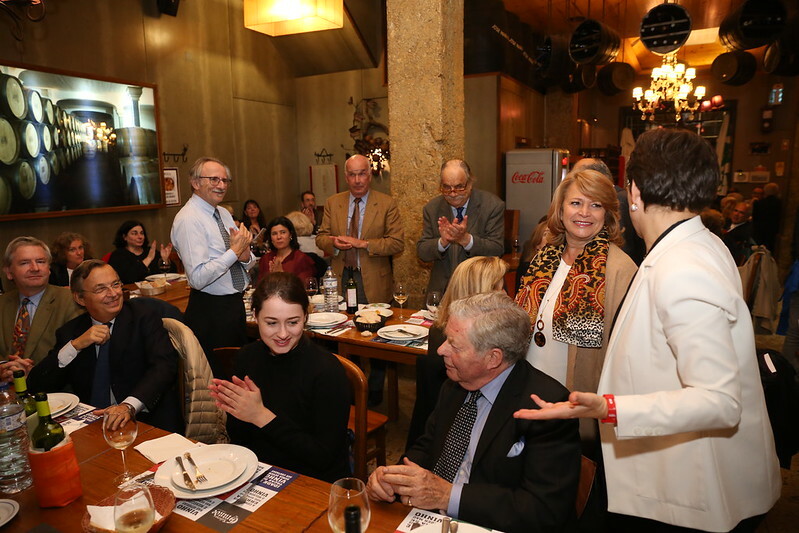 Upon arrival in Setúbal, the group was welcomed and guided by Maria João Candido, the rehabilitation project leader, and Hugo O’Neill, President of the Portuguese Historic Houses Association. While leading the participants through the wings, the cloister and the Church, they explained the current state of the major renovation works and the challenges faced by the authorities and various stakeholders. Participants were fascinated to witness the typical Manueline – or Portuguese late Gothic – style, particularly the remarkable columns, tiles and ceiling of the Church of Jesus. The first phase of renovation was successfully completed and the site partially reopened to the public in 2015, having been closed for the preceding 23 years. This phase consisted of the structural rehabilitation of the Monastery and the total recovery of the western wing, which houses part of the rich collection of the city’s museum. 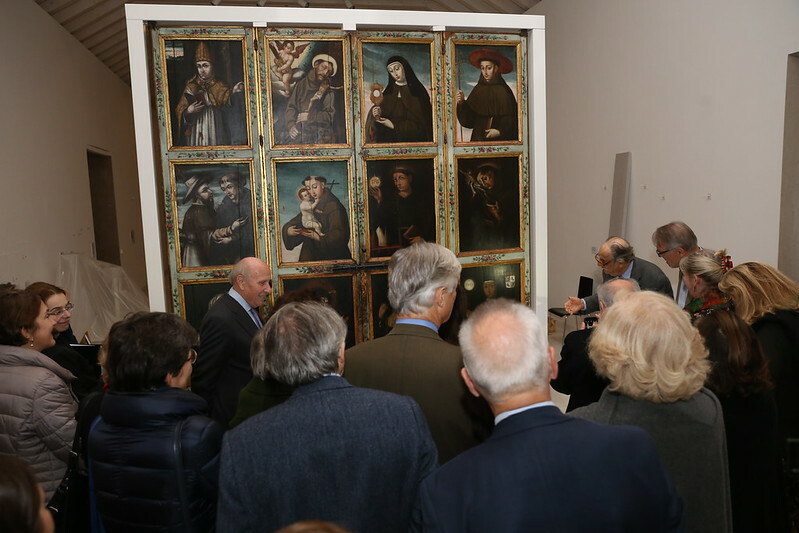 Europa Nostra’s Board and Council members could visit the Municipal Exhibition Gallery, which boasts a collection of 15th-16th century Portuguese and Flemish paintings, including the 14 panels of the main altarpiece of the Monastery of Jesus, attributed to Jorge Afonso, which were removed from the apse of the church in the 18th century. The second phase of the renovation was launched in 2017 and includes the complete rehabilitation of the monument, namely the northern and eastern wings (which will accommodate the entire collection of the local museum), the High Choir and its Bell Tower, the structure and ceiling of the Church of Jesus and improvements to the surrounding areas. This phase is expected to be completed in the next couple of months. Following the visit, during a networking reception, the Mayor of Setúbal Maria das Dores Meira thanked all stakeholders that made the rehabilitation of the Monastery of Jesus possible so far, including Europa Nostra and the European Investment Bank Institute, stressing that good cooperation at local and national levels is key to successful project implementation. The Monastery of Jesus in Setúbal is one of the first examples of the Portuguese Late Gothic style, known as Manueline, which drew inspiration from architectural styles throughout the Portuguese Empire. It has been listed as a National Monument since 1910. Recognised as a tangible witness of Europe’s shared history – having served as the setting for the ratification of the signature of the Treaty of Tordesillas in 1494 between Spain and Portugal which paved the way for Europe’s expansion both to the Americas and to the Far East – it was conferred the European Heritage Label by the European Commission in 2011.